Egypt's flagship airline EgyptAir will postpone to April the resumption of direct flights to Moscow to ensure that flights are sufficiently booked, CEO Safwat Mosallam told Al-Ahram Arabic news website. Mosallam said that this should give prospective travellers time to make flight reservations, adding that flights had previously not been open for reservation. The CEO said that three flights will be scheduled for each week after the resumption. Mosallam added that EgyptAir has received its office in Moscow’s Domodedovo Airport, where it has been assigned a special gate to be shared by Russian national carrier Aeroflot. 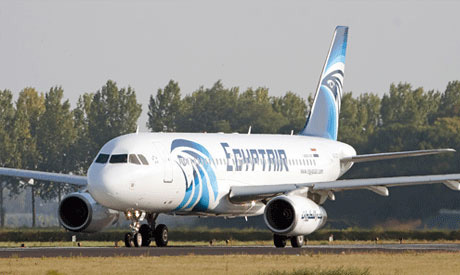 Mosallam also said that a Russian security agent has been stationed at Cairo International Airport's Terminal 2 to follow up on security procedures in accordance with international agreements concerning the right of airlines to implement additional security measures to ensure the safety of their flights and passengers. Mosallam stressed that the Russian agent will not be participating in security procedures, and that an EgyptAir representative will also be present to monitor security procedures at Moscow airport. According to Al-Ahram, Cairo International Airport has not received a timeline from Aeroflot regarding the resumption of Moscow-Cairo flights. Aeroflot has postponed flight resumption multiple times over "technical reasons." The statements by the EgyptAir's CEO come a few days after Russian Deputy Prime Minister Arkady Dvorkovich told reporters on the sidelines of the Sochi investment forum that the resumption of flights between Russia and Egypt’s resort cities is "impossible at the moment," without elaborating further. Egypt has hoped that a resumption of flights to its resort cities would boost its tourism sector, which suffered a major blow following the suspension of flights between the two countries after the late 2015 crash of a Russian airliner in Sinai, which killed everyone on board. Moscow banned flights to Egypt shortly after the deadly crash over security concerns. Egypt has since enhanced security procedures at its airports, which have been inspected by Russian security experts. Earlier this year, Russian President Vladimir Putin signed a decree approving the resumption of commercial air traffic between Russia and Cairo, which were initially set to resume at the start of February but have been postponed multiple times.